Did you ever wonder why people love gemstones? 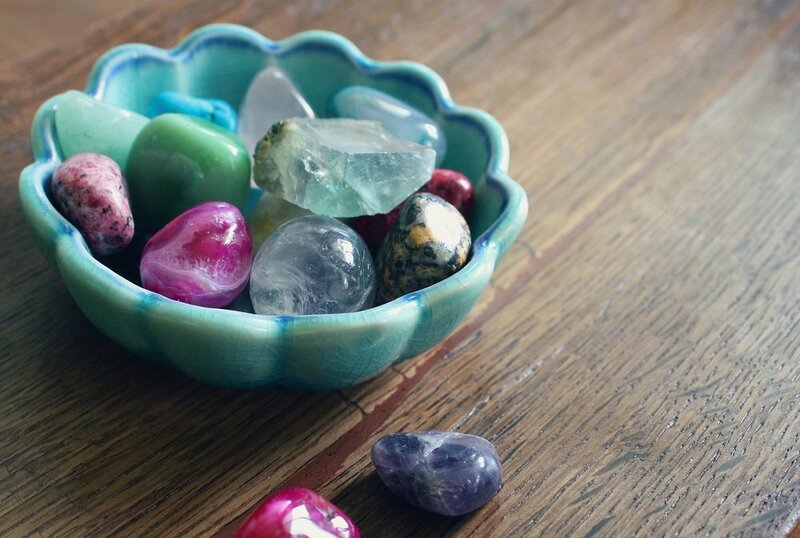 Well, besides the fact that they are incredibly beautiful….Gemstones have healing properties! You can add more peace, balance or other qualities to your life by incorporating gemstones. They can enhance your life in many ways. You can add some to your workspace at the office and wear others as colorful jewelry. For example, here is how Healing Crystals describes Rose Quartz," The soothing energy of Rose Quartz fosters empathy, reconciliation, and forgiveness of others. Lowering stress and tension in the heart, Rose Quartz clears out anger, jealousy, and resentment of others, and allows healing of heart issues and dis-ease associated with holding on to such negative emotions." At Rise, we have incorporated gemstones throughout our space. If you haven’t come by yet, please do so. We’d love to show you how we’ve put them to good use and suggest ways you can too. We have just added some gemstone jewelry to our retail offerings. Gemstones have become popular and there are many places where you can purchase them. There are also lots of books describing their individual properties and ways in which they are helpful. We have a few in our lending library you can borrow or peruse! I have found that Healing Crystals in Dulles, VA is an incredible resource for both information and good, quality gemstones at reasonable prices.